Tags: 2018 WSOP, Matthew Davis. 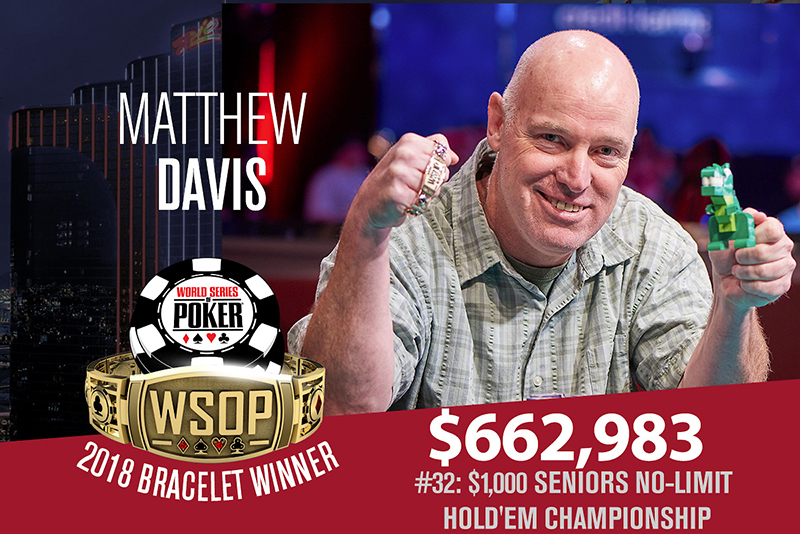 This year's WSOP Event #32 $1,000 Seniors NLHE has been won by Matthew Davis, who came out on top of 5,918 players to claim his very first WSOP gold bracelet and a fat sum of $662,983 as his first place prize money. Last year, the total number of entrants was a record 5,389, but this year's 5,918 player field is now the biggest turnout for this event - generating a prizepool of $5,326,200. This event is an unforgettable one for the 50-year-old college professor from Dublin, California, as this was the first year that Davis was eligible to compete in this tournament, since it requires participants to be 50 years of age or older. He teaches statistics at Chabot College in Haywood, California and has two previous WSOP cashes in 2007 and 2009 worth $7,459. The final day of the event had 8 players return to compete for the title, with Gary Friedlander as the chip leader. Davis was tied with Bill Stabler in second place at the table. By the time the final two players took a dinner break, Stabler had a 4-to-3 lead, but when play resumed Davis was on a roll. He managed to regain the lead and went further to get a 3-to-1 advantage before the final hand was dealt. It took Davis just 15 hands to turn the tables and win the event shortly before 7:30pm last Sunday, June 17. The final card on the river made Davis' hand much superior than Stabler's, thus making Davis the top winner of this event. 7 comments for "2018 WSOP: Event #32: $1,000 Seniors No-Limit Hold''em won by Matthew Davis for $662,676"
To understand, all these players 5918 were over 50 years old because was seniors wsop tournament? very many players and is an exceptional number. The wives of others who have not finished the money have something to say? Congratulations to players at the final table, especially for the winner. With only 1k buy in this tournament was on"fire: from the number of players in. 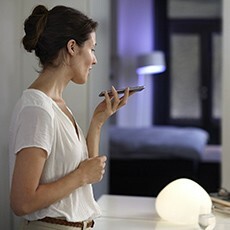 Good payouts and not only for the first place. Boom! Massive well done to Matthew Davis, who topped a field of 5,918 entrants to win the $1,000 buy-in Seniors No-Limit Hold'em tournament! I can't believe I will be classified as a senior citizen in 6 years! Time passes so quickly.